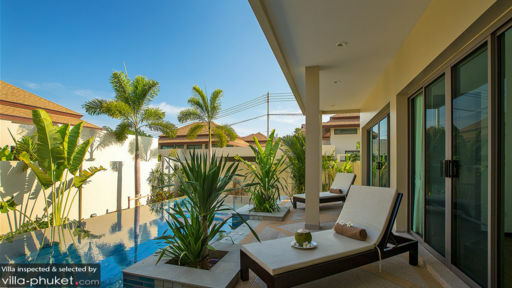 Villa Riau is a vacation residence especially intended for small families, double-dating couples or a select group of close friends. 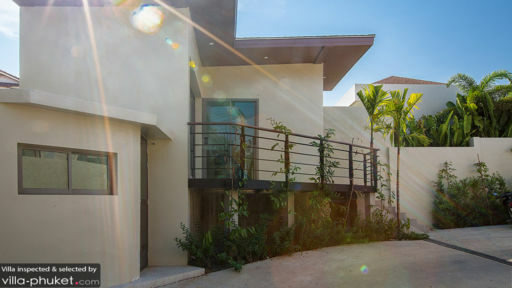 Designed with compact areas that maximize available space, the villa’s interiors are appointed with only the basic yet comfortable and stylish furnishings as well as set up with only essential yet modern and convenient amenities. At Villa Riau, you can truly enjoy family or friendly bonding as well as romantic intimacy fostered by the villa’s cozy, exclusive and private environment. The focal point of the villa’s outdoor area is the eight-meter swimming pool – directly accessible wherever you are in the villa. Splash into its mesmerizing waters at just about any moment you wish. 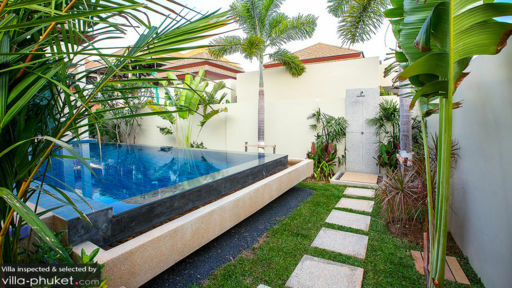 After a soothing dip or some playful water fun, climb out of the pool and recline on the cushioned pool beds under the shade of the covered terrace. The living area takes up most of the indoor space. Here, you can all settle on the long and large couch and direct your attention to the widescreen TV for the much-awaited latest episode of your favorite hit series. Right behind the couch is the dining area. On the wooden table that can accommodate up to six, you can all sample each one’s scrumptious specialties carefully yet conveniently put together at the nearby kitchen corner. Regular services at the villa are rendered mainly by a housekeeper and a pool attendant. A security detail is also on duty to watch over the property. A day outside Villa Riau begins at Nai Harn – a nearby white-sand beach where you can swim to your heart’s content as well as set out, onboard a traditional Long Tail Boat on an island-hopping tour of Ko Bon, Ko Kaew, Ko Lon, Ko Aeo and Ko Hae or Coral Island. Nai Harn is also known for fresh and delicious seafood which you can savor at Sala Loi where you’ll also experience the traditional way of dining – from a mat on the floor. End the day at the Phuket Shell Museum and at Promthep Cape View Point to watch the picture-perfect sunset.